to residences in Jacksonville are for over 27 years. Repair and service options from re-screens to screw replacements. Tropical Enclosures offers a number of different pool enclosures based on each individuals unique needs. With of 27 years of experience, we finished a lot of projects. Take a few minutes to browse some of our latest. 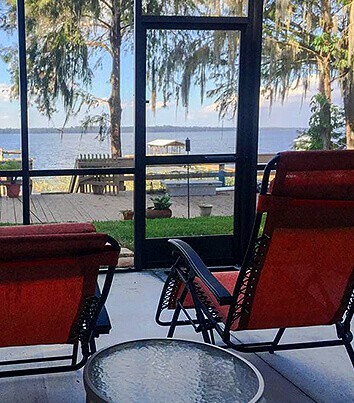 We have proudly served North Florida as a business for over 27 years, hold over 200 years combined working knowledge in the industry amongst our team, and are consistently searching for and offering the latest and greatest products available in the marketplace. Only the highest grade products make it on to our job sites and every installer is held to a very high standard of professionalism and quality. We specialize in creating custom designs for beautiful patio and swimming pool enclosures, and handle every project we undertake with exceptional care and finesse. How do I heat and cool the room? This will depend on the size of your current heat and air systems. If the units are big enough you may not need to do anything addition. If not, a separate heading and cooling unit may be necessary. It is recommended that any outdoor plants that need to be moved to install the enclosure are removed before we begin work. Can you build on an existing deck? It depends on a number of factors concerning the foundation. It may be necessary to make some improvement to the foundation before a sunroom can be installed. What kind of base wall can I have? A number of options are available depending on what you like. Do you repair hurricane damage? We offer a full line of repair and service options for both new and existing customers. No repair is too big or too small for us to handle, from 1 panel to full re-screens and screw replacements. It really depends upon the the size of the project. Please call us at 904-774-3500. Can you match shingles on my roof? As long as the shingles are still available for purchase we can match them. What kind of foundation is required? The foundation will need to be similar in strength to a typical homes foundation. Specific requirements vary depending on jurisdiction. Will the sunroom increase the value of my home? Yes, your sunroom will increase in value as your home increases. "Hands Down The Best Service Ever!" Tropical Enclosures put in a pool enclosure for us and did a great job, we could not be happier. We had a very complex roof line but they did a great job making it work. They arrived early each day and put in a full day every day, wonderful work ethic. I would recommend to family or friends and would defiantly use again. 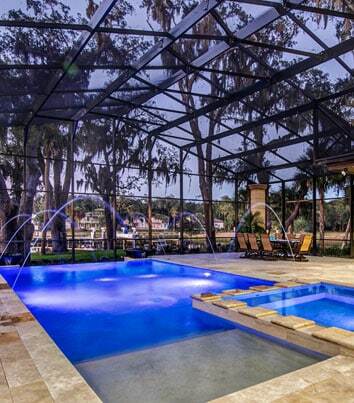 We build screened-in outdoor extensions of your home that allow you to enjoy your patio, spa, pool or deck. Our durable and attractive pleasing sunrooms protect you and your loved ones from rain, intense sunrays, wind and insects. company. 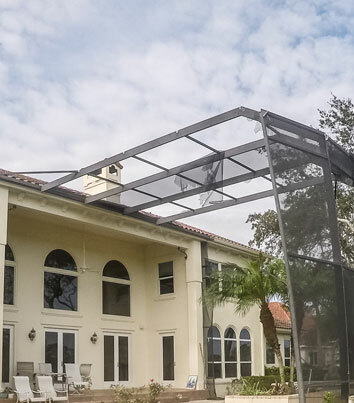 Call Tropical Enclosure and GET THE JOB DONE RIGHT.